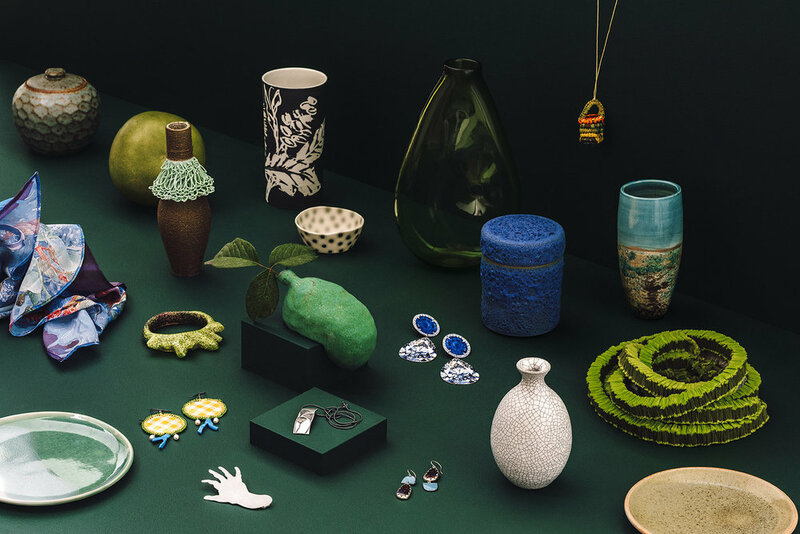 Elise Sheehan is a Melbourne based maker, who works across the disciplines of jewellery, object making and installation. She holds a Diploma of Studio Textile Design from RMIT University TAFE and a Bachelor of Fine Art (Honours) in Object based Practice from RMIT University. Elise’s practice is anchored in simple shapes and forms in which the production, placement and consideration of multiple items or objects is paramount. The emphasis on the arrangement and grouping of jewellery or objects to create landscapes, tableaux’s or scenes, allow her to explore a range of ideas related to succession, space, scale and the dualities of internal/external space or light and shadow.